There are many approaches to doing fine work. One is to learn from the elements of great design. 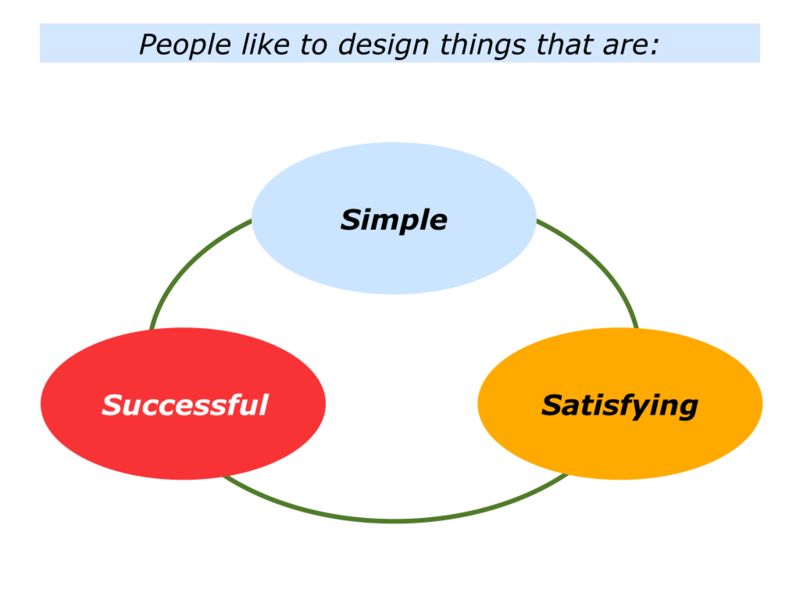 It is to produce things that are simple, satisfying and successful. This sounds simple in theory, but it can be harder to translate into action. Let’s explore how you can follow these steps in your own way. If you wish, start by tackling the exercise on this theme. This invites you to do the following things. 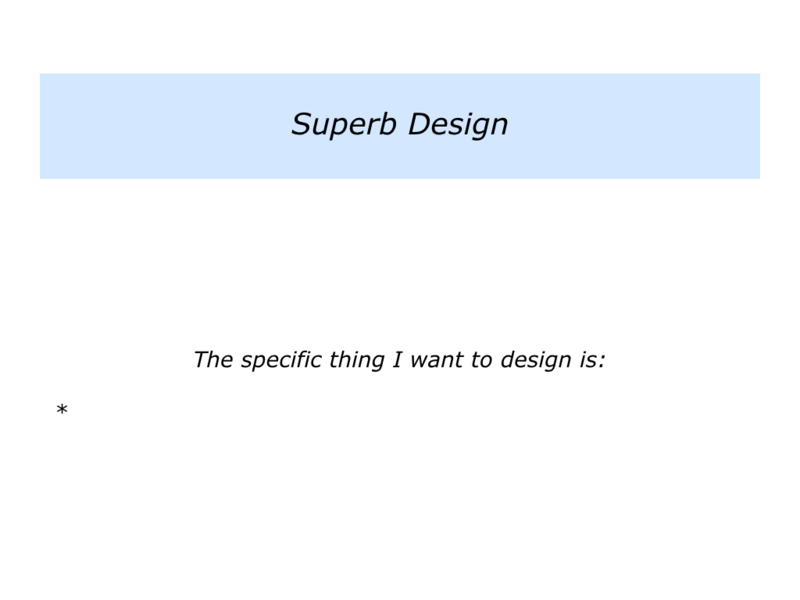 Describe something you would like to design in the future. This could be a seminar, garden, house, business, solution to a problem or whatever. 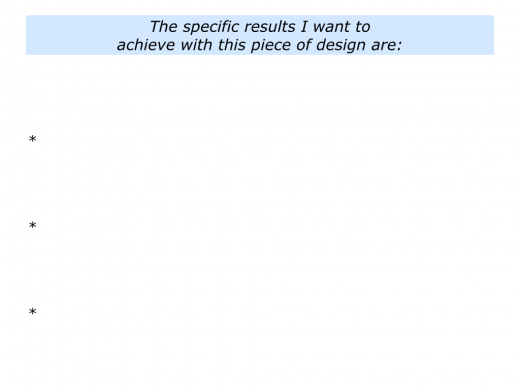 Describe the real results you want to achieve with this piece of design. 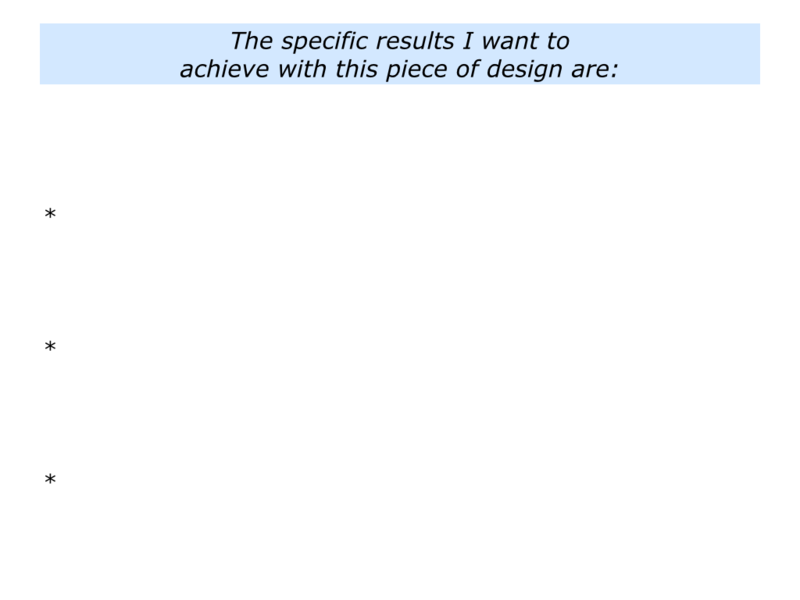 Let’s move on to how you can create this piece of design. Human beings love to design things. They love to make things work, find solutions or create their version of paradise. Every person has some version of this dream, maintains Christopher. Some wish to create a house, a garden or a fountain. Others wish to create a relationship, a painting or a book. He described how this is embodied in his own field of architecture. 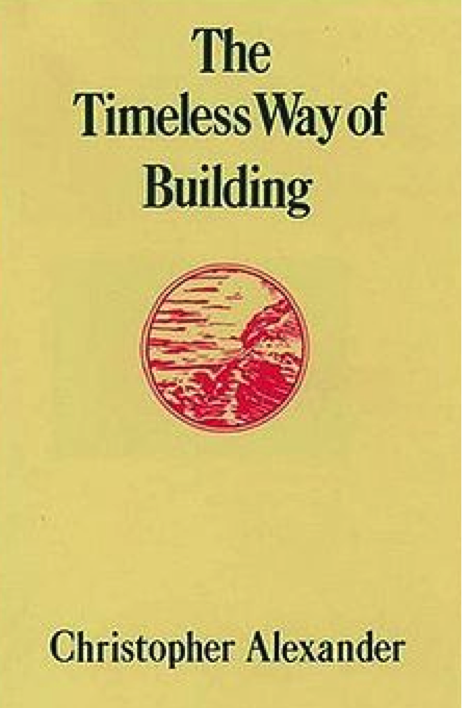 “There is one timeless way of building. It is a thousand years old, and the same today as it has ever been. “The great traditional buildings of the past, the villages and tents and temples in which man feels at home, have always been made by people who were very close to the centre of this way. “If you have a feeling-vision of the things – a painting, a building, a garden, a piece of a neighbourhood – as long as you’re very firmly anchored in your knowledge of that thing, and you can see it with your eyes closed, you can keep correcting your actions. 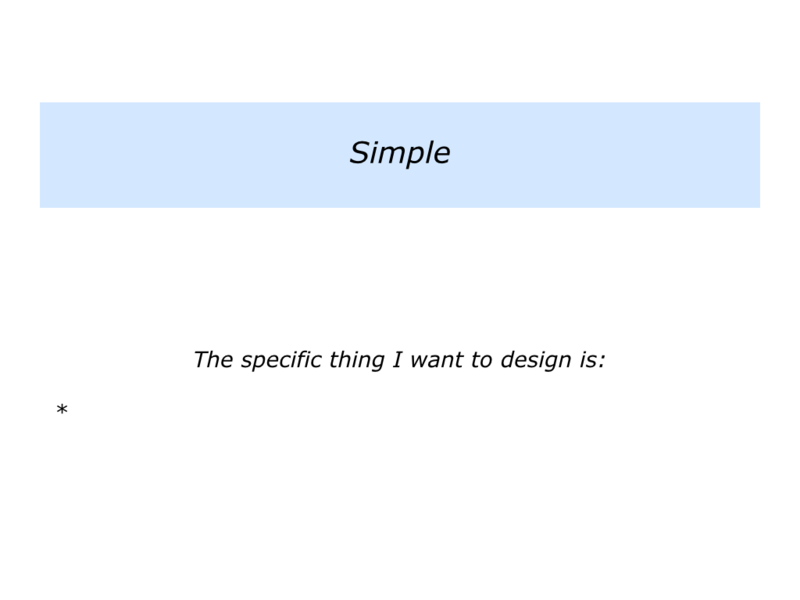 “Simplicity is genius,” we are told. Great teachers make complicated things simple. Art Fry’s invention of Post-it Notes demonstrated simplicity in action. So did the Sony Walkman and Apple Macintosh. Many educators pass on knowledge that embodies profound simplicity. 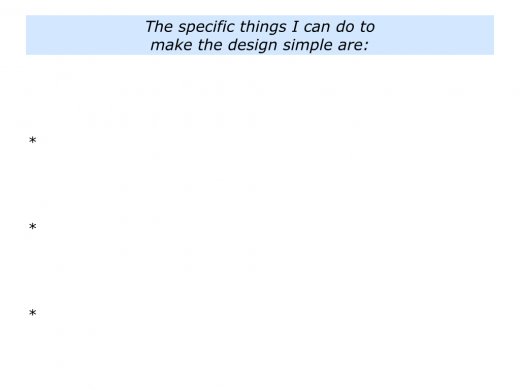 Describe the specific thing you want to design. 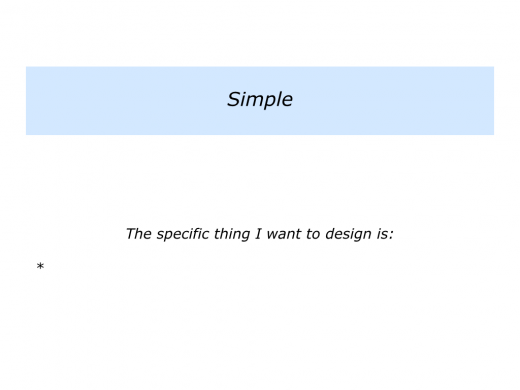 Describe the specific things you can do to make it simple. 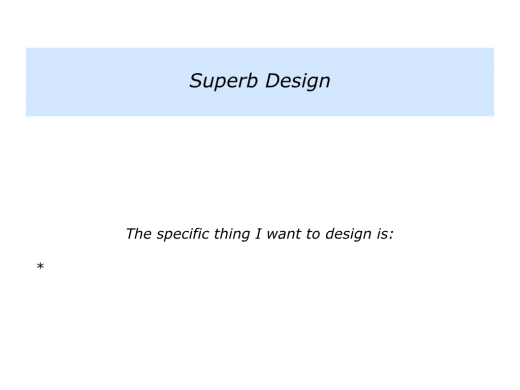 Superb design is satisfying on a number of levels. Physically it looks and feels good. Practically it works and is user friendly. don’t hesitate to make it beautiful. “One of the main criteria for the design of the everyday, though, is sensuality. Good educators embody some of these elements when designing satisfying educational experiences. Describe the specific things you can do to make it satisfying. Great design works. It does the job. 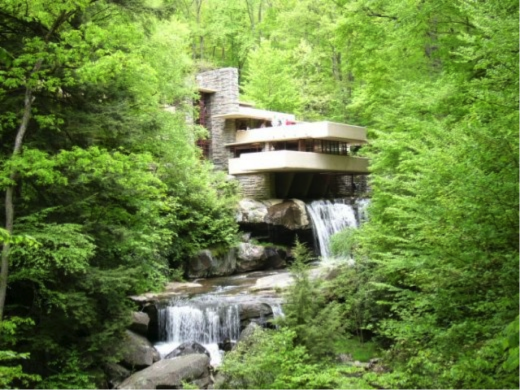 Frank Lloyd Wright’s famous house Falling Water shows how something can be simple, satisfying and successful. Human beings are designers by nature. They love to go through the stages of design, development and delivery. 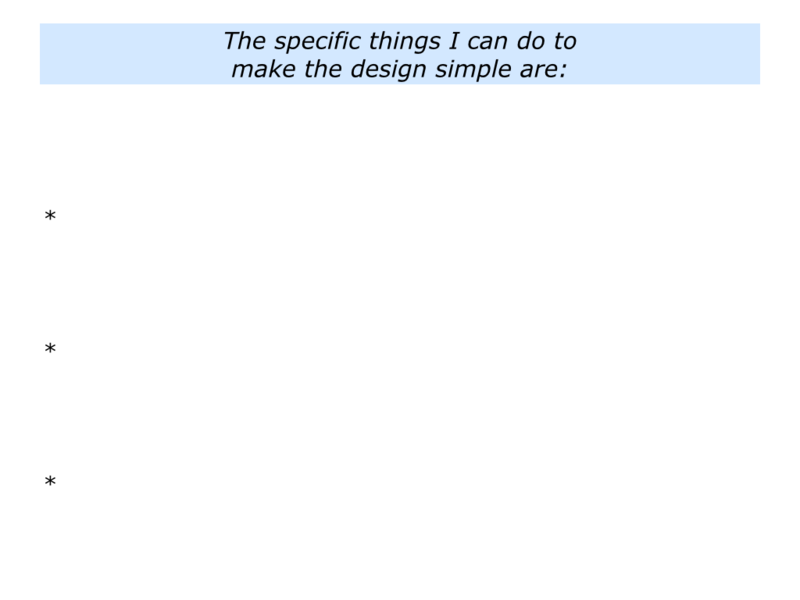 But we still face many design challenges. Perhaps the greatest is to care for our planet. 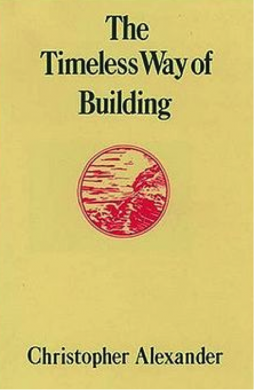 It is to build sustainable systems that achieve ongoing success. This is our duty to future generations. 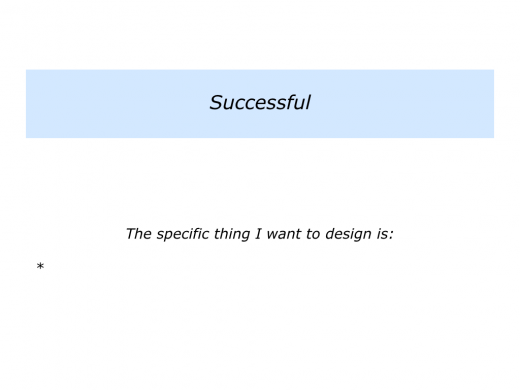 You will have your own approach to design. If you wish, however, try tackling the final exercise on this theme. This invites you to do the following things. 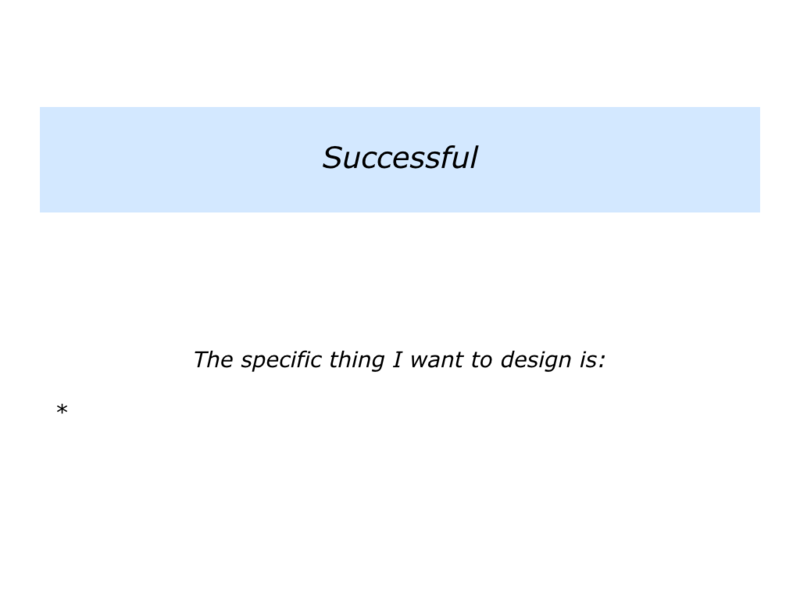 Describe the specific things you can do to make it successful.